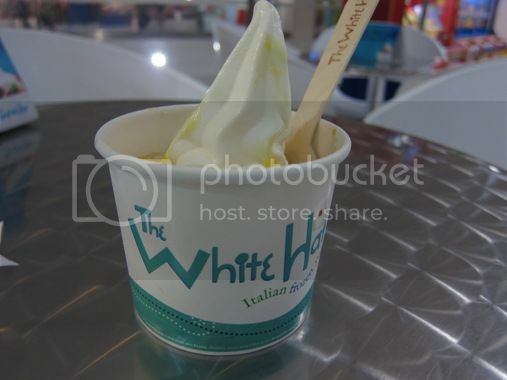 I have tried several frozen yogurt brands already, but so far, the one I love the most is White Hat! That’s because White Hat frozen yogurt is not too sweet or sour; it’s just the right blend of flavors. After dropping my son off at Whiz Minds CAMP for his painting class one Tuesday afternoon, I had the urge to drop by the White Hat stall nearby before going back home and resuming work. I ordered Regular Yogurt (4 oz.) for Php90.00 and 1 topping (mangoes) for an additional Php20.00. For a total of Php110.00, I was already a very happy mommy! My craving for frozen yogurt was already satisfied! 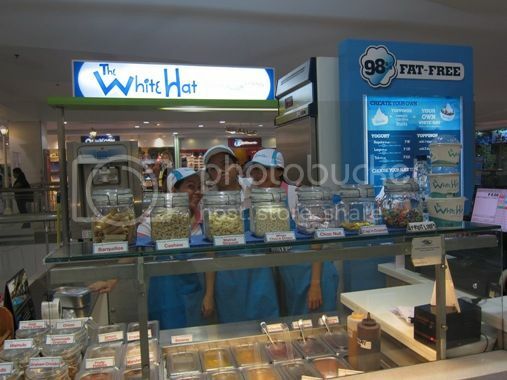 White Hat frozen yogurt is 98% fat-free, so it’s really healthy compared to regular ice cream. White Hat is located on the 3rd floor of Robinsons Galleria beside the escalator. This entry was posted in Dessert, Frozen Yogurt, Robinsons Galleria, Yogurt. Bookmark the permalink.